Play Ukulele Now: What accessories do I really need to go with my ukulele and why? 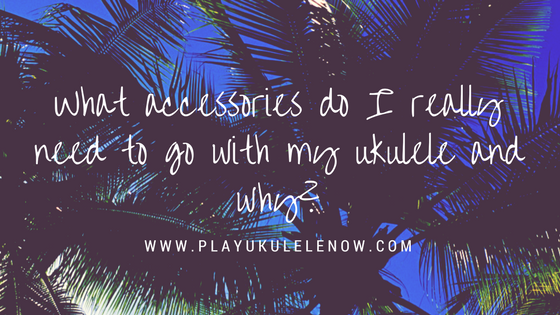 What accessories do I really need to go with my ukulele and why? Here's a rundown on exactly what accessories you really need to go with your new ukulele and why. You may not need all of them, and you may be able to get by with none of them. Here are some of the things you may want or need to go with that new ukulele and why. 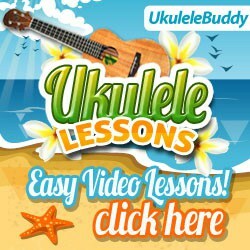 Here are my recommendations for a great beginner uke! It is possible you may be able to get by without a tuner. You could tune to a piano, another instrument, or you cold tune to your ukulele to a tone that you find online. 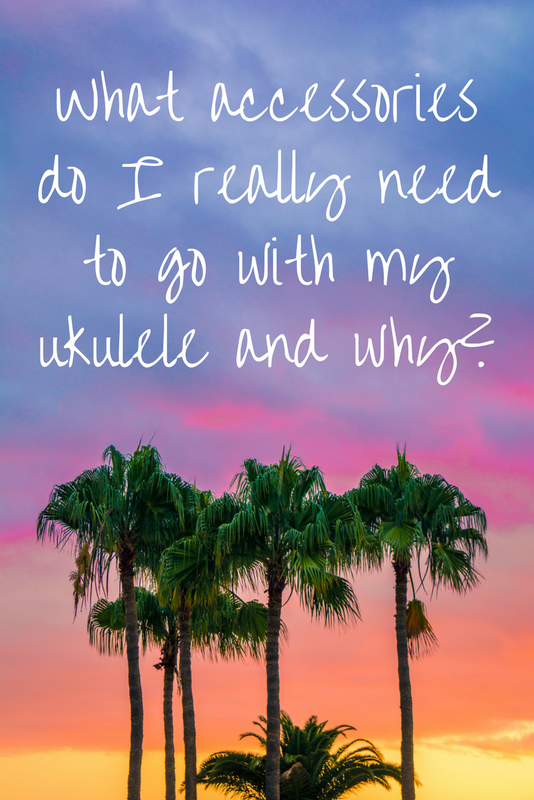 Here's the problem with that: Most beginners have trouble matching up the note on the ukulele to the note that they hear, this means they may have trouble tuning to other instruments or to a pitch pipe tuner. Every time you pick the instrument up you should tune it. You'll get a lot more out of playing with a properly tuned instrument. An instrument that is not properly tuned can cause you to get discouraged or to quit playing all together. There are some tricks to properly tuning your ukulele and keeping it in tune, click here to check them out. Let's make sure you're always in tune, you don't need an expensive tuner all you need is a basic clip on tuner. 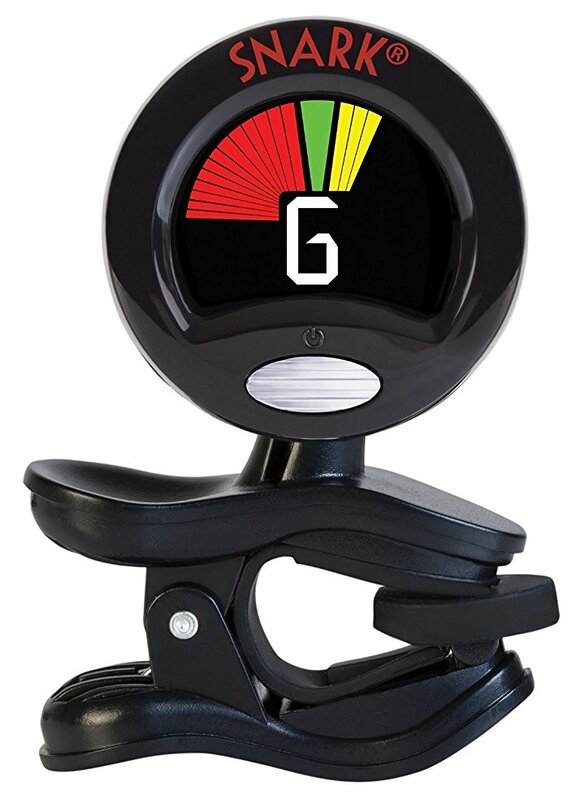 The best little tuner for the money is the Snark SN5X Clip-On Tuner for Guitar, Bass & Violin (Current Model) . It is best to get a clip on tuner because it can be used with background noise, some tuners will pick up background noise making it impossible to tune you instrument unless it's completely quiet! Clip on tuners work using the vibrations of the instrument and can be kept on the headstock. If you play with other musicians, you'll notice they use a capo allot to change the key of various songs, or to play a song in different position on the neck to compliment the other players better. For example: If the people you're playing with capo the 2nd fret, like we learned in the lesson below, you'll want to do the same. Ukulele Tricks: Easy Capo Trick - Play Ghost Riders in the Sky - You'll also find my "poor man's capo trick" here that you can use if you can't afford a capo. If you play with other musicians, it would be handy to have a capo. Also, you may need to to change the key of a song to make it more suitable for your singing voice. a capo will come in handy for this as well. 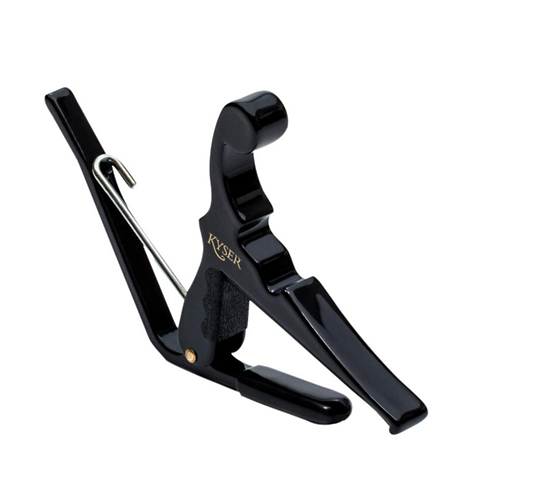 The Kyser quick change capo is the one that most teachers and professionals recommend. In 1974, Milton Kyser had a brilliant idea for a better capo. Four years later, he was awarded a patent for his revolutionary Quick-Change design, which allows the musician to change the capo's position on the neck more quickly and easily than ever before. With these capos you can clip them on your headstock so they are within reach when you need them. The capo you want may be called a banjo or mandolin capo and not have the word ukulele in the title, use the link below to be sure you get the right one. The thing most beginners and even some more advanced players will have the most trouble with will be keeping steady time or keeping a steady beat. A beginner could always tap their foot and count out loud to be sure they are keeping time properly, but a metronome can insure the student is keeping perfect time! I have always, as have most teachers, recommended playing with a metronome. Using a metronome is the best way to make sure you are keeping steady time. 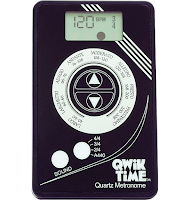 Here's a great, inexpensive metronome, its a good idea to use it every time you practice. A basic gig bag is a great way to protect your investment. If you transport your your ukulele often you'll defiantly want a bag to protect it, of course if you're on a strict budget you could keep the box it came in and use that to transport it. If you never take the use anywhere you may not need a case and the box it came in might be a great option for storage.